A complete walkthrough for Macalania Woods in Final Fantasy X (FFX), including enemies encountered, obtainable items, and boss strategy guides. Go to Auron and watch the cutscene. Follow your comrades up the grove. Continue up the tree branch. Follow the path north until you find Barthello. Follow the path going down. When you reach the northern section of the woods, go straight to the next area. Optional: Purchase from O’aka’s Shop. Enter then exit the shop. Proceed north to regroup with your party. Move forward and a cutscene will play. Head south from where Auron appeared. Revisit previous locations to find all Jecht Spheres. Backtrack to spring, then take the north path where O’aka stood to reach the next area. 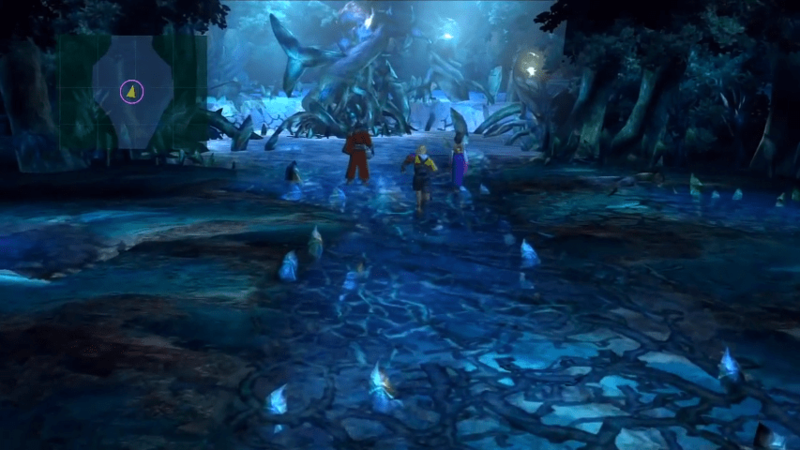 After going through Thunder Plains, you will be pit against enemies of the water element. Unequip your water weapons and replace them with gear that has the Thunderstrike ability. Defense is can be a good offense, so swap out your armor with ones that have Water Ward or Waterproof. This optional side-quest takes place in Macalania Woods. Before you start, be sure to equip gear with the No Encounters ability. When you are ready, speak to the anthropomorphic bird to start the quest. The rules are simple: you need to touch all the blue butterflies. Touching the red ones will send you into an encounter against fiends. Should you need to capture fiends, you can equip weapons with the Capture ability. Refer to the mini-map for directions. 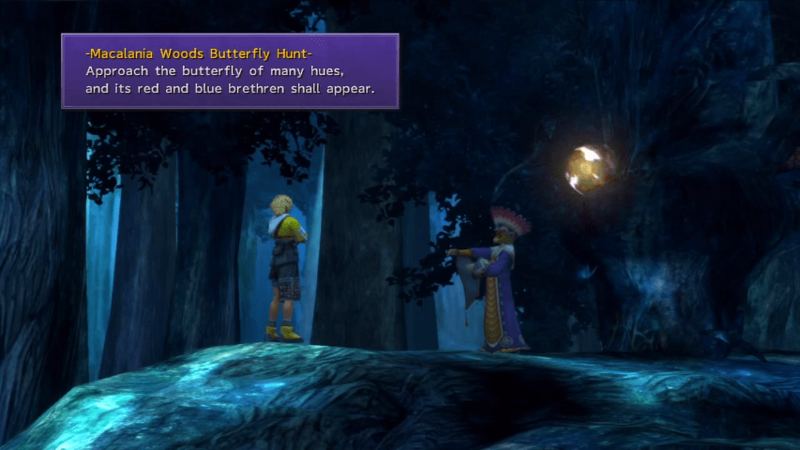 During the quest, you need to return to the starting location to collect one of the butterflies. If you mess up, you can leave the area and return to restart the quest. Avoid exiting the area while the quest is in progress, as you will have to restart. Once you complete the side-quest, you will receive the Teleport Sphere and the Saturn Sigil. The Saturn Sigil is a valuable ingredient in crafting Kimahri’s Celestial Weapon. When you enter O’aka’s Shop on Lake Road, exit immediately and O’aka will ask you about the shop’s prices. If you answer “too expensive,” he will give you a discount. This is a handy trick to save some Gil when purchasing items. The tricky part about this fight is that Spherimorph changes element throughout the battle. You can determine what element it is with a normal attack, as it will retaliate with a spell of its current element. 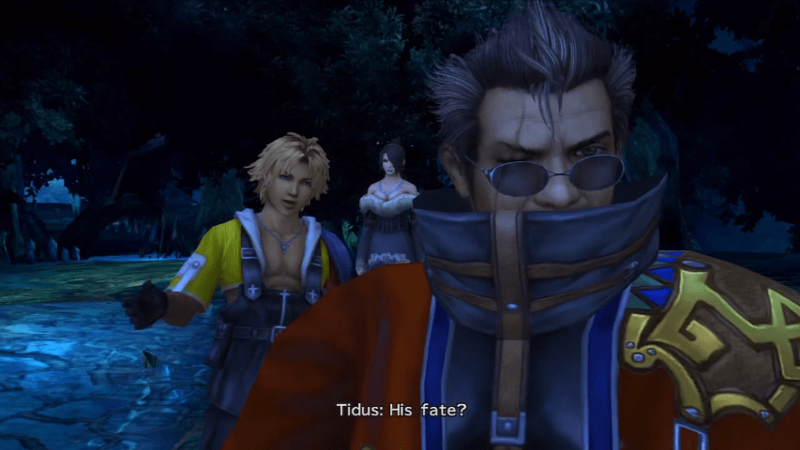 An example team composition is Tidus, Yuna, and Lulu. 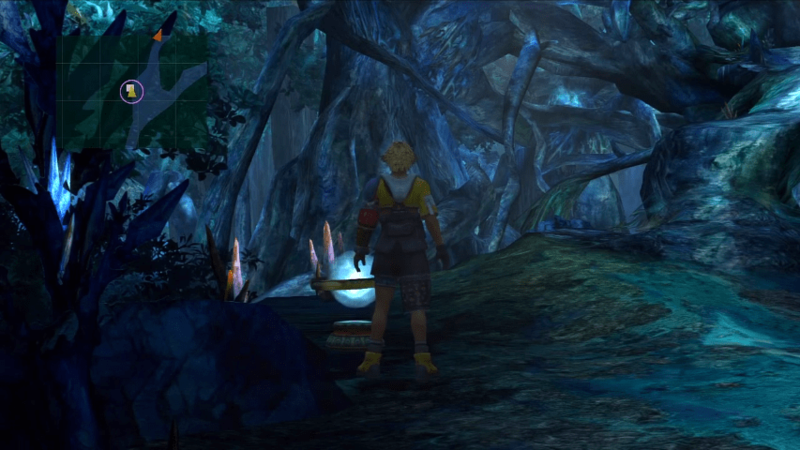 Have Tidus strike the boss to figure out its element with a normal attack while Yuna assists with healing spells. Once you know the boss’ element, order Lulu to use the corresponding spell to hit its weakness. 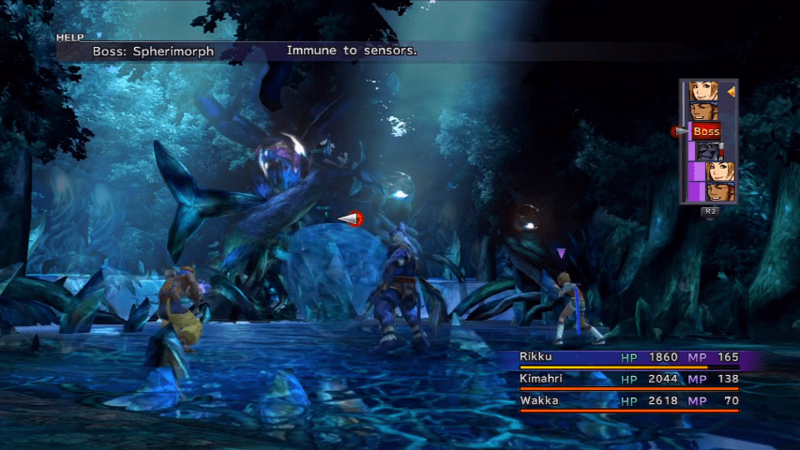 To deal more damage, have Tidus swap out his weapon so that he can also inflict effect element damage to Spherimorph. There are multiple ways to handle Spherimorph but it depends on which ability you have in your party. 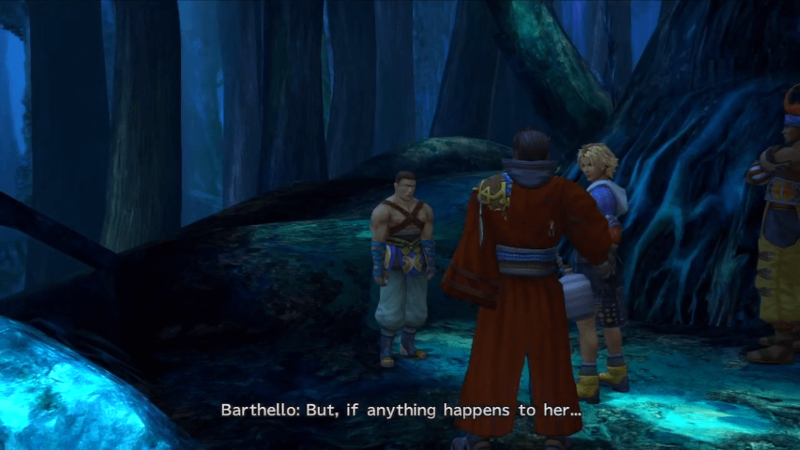 If Auron has both Magic Break and Power Break, he can assist in debuffing the boss to buy time for the party. If Kimahri has learned Lulu’s magic, he can also help in defeating the boss. 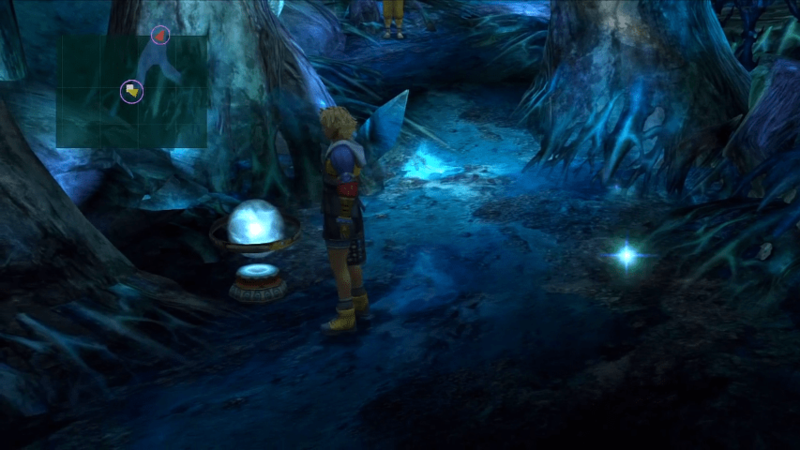 Jecht Spheres are collectibles which trigger cutscenes from past events. While some of these can be obtained by progressing through the main story, others require revisiting previous locations. 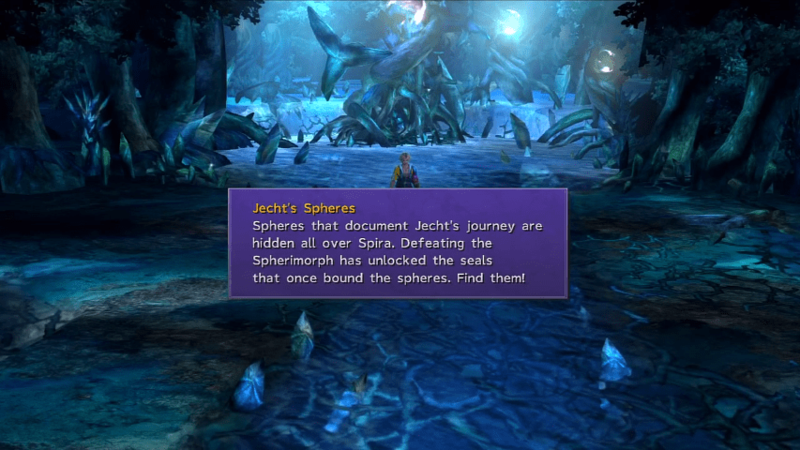 After defeating Spherimorph, you will be tasked with locating Jecht Spheres. It is imperative to do this quest, as progressing far into the story will prevent you from backtracking to some locations. While there are other locations with these Spheres, the ones you need to revisit at this point are Besaid Village, S.S. Liki, Luca, Mi’ihen Highroad, Moonflow, and Mushroom Rock. Collecting them unlocks Auron’s Bushido Overdrives.